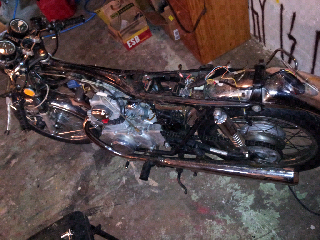 Here is a picture of the other bike we are working on that I had mentioned yesterday. Due to working so much and such busy life styles by myself and Jimmy, we are very limited on time to get these things going. We are doing all the work in his basement.